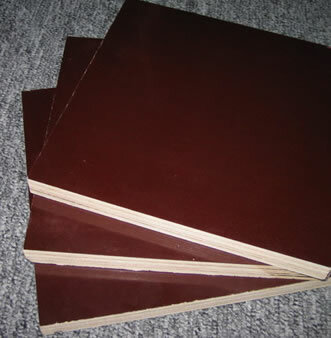 Brown Film Faced Plywood is one of the most commonly used film faced plywood products, which have excellent resistance to water, fire, wear, and ultraviolet. It is widely used for construction and concrete formwork. 2. Big breadth: reduces the quantity of seam and improves efficiency. 3. Can keep surface warm and can be comfortably used for construction during winter. Established in 2002, Sindo is an experienced Brown Film Faced Plywood manufacturer and supplier in China. Our wood products have obtained the SONCAP and CE certificates, and are widely used in the furniture and construction industries. Due to their superior quality and reasonable prices, our products are well received in the international market in countries such as the USA, Germany, Egypt, Japan, Korea, Canada, Mexico, Argentina, Brazil, and Peru etc. We also offer OEM (original equipment manufactures) services to our customers upon request. We are looking forward to working with you.